I hope you've been enjoying the season. I was out of it for a couple of weeks dealing with the Thomas Fire, but I finally got myself back into work and life mode in the past week, and I've been wanting to do more for the recovery efforts in my community. I donated to the Humane Society, which managed the bulk of animal rescue and care during the fire. Over 400 people came from all over the state to help care for the animals, even bringing their own supplies! I've got bags of food and toys (and cat toys!) ready to go to HELP of Ojai, the organization that's managing much of the human recovery in the Ojai Valley. And instead of driving to Ventura or Santa Barbara our nearby "big cities," or ordering gifts on Amazon, I kept my Christmas shopping local, to help our local businesses recover from lengthy closures and cutbacks. But I want to be able to give more, so I decided to hold a quick flash sale to offer two popular items that aren't always available to my online peeps. 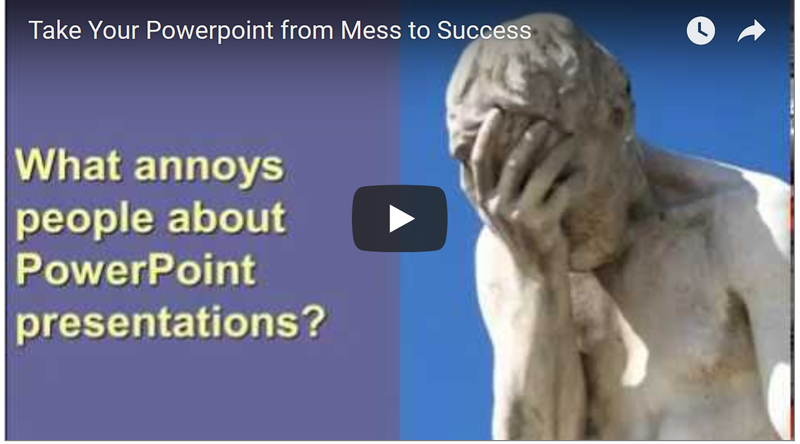 1) My "Take Your PowerPoint From Mess to Success" training is typically "Your Webinar Success: Speak to Engage Virtually!" Your investment for this webinar/PowerPoint training package is only $97—and 20% of each sale will be donated to Ojai Thomas Fire relief programs through HELP of Ojai. View the webinar offer here. 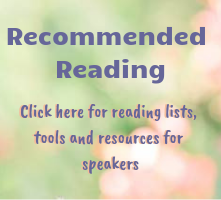 them to my live speaking engagements and book signings. 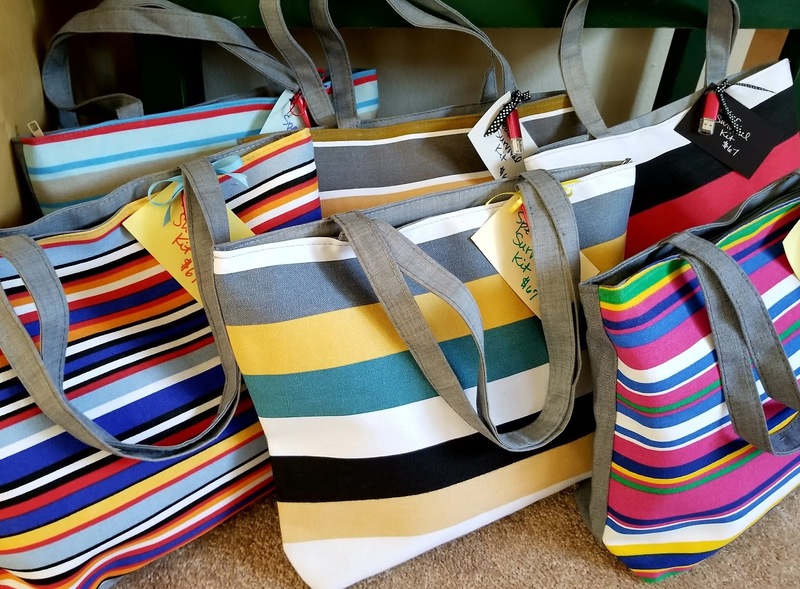 I know a lot of people have been disappointed not to be able to make it to my events because they wanted one of my sassy beach bags full of essential items that speakers often overlook! I sell the kits at speaking events for $67, but my special offer to you takes 30% off, for a grand total of $47—and again, 20% of each sale will be donated to Ojai Thomas Fire relief programs through HELP of Ojai. There is a limited supply of bags available, so you'll want to snag one of those first. 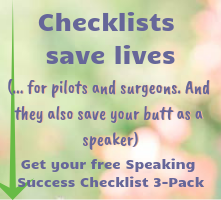 View the Speaker Survival Kits here. Kick off your 2018 with a business boost and grab one of these two goodies before the offer expires at midnight PST on December 28. That's right, this offer is good for just 48 hours! 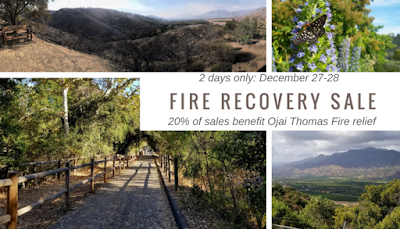 Get it while you can, and while you're at it, help support Thomas Fire recovery in the Ojai Valley!